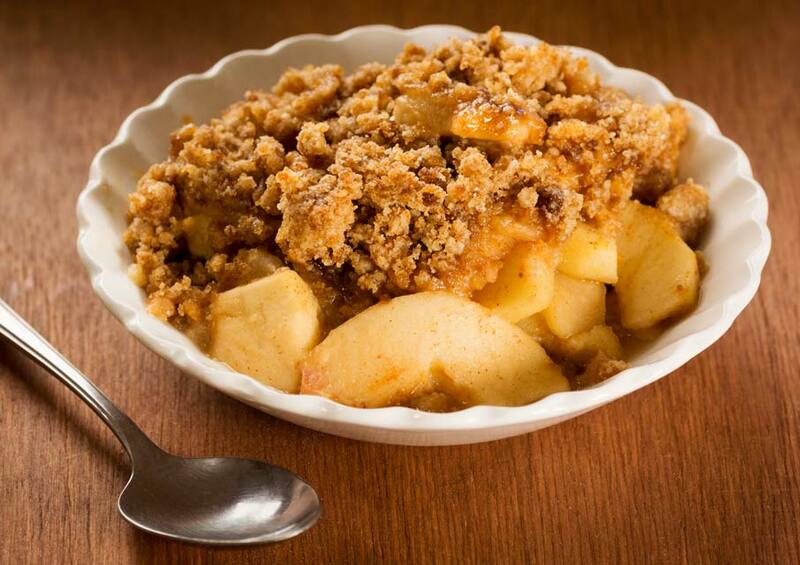 Apple crisp is a delicious fall recipe beloved by many. Peanut butter is a great complement to apples and can add some protein to this baked dish. Spray 4 ramekins or small baking dishes. Mix apples, 4 tablespoons peanut or almond butter, and honey or maple syrup together well. Divide apple mixture between 4 baking dishes. Mix oats, 2 tablespoons peanut or almond butter, cinnamon, and salt. Divide oat mixture between 4 baking dishes, crumbling on top of apple mixture. Bake for 45 minutes or until apples are bubbly and oats are crisp.